Window boxes are possible at my house, but only for limited seasons of the year. Fall is one of those seasons, and this year I created a window box, with lots of help from my professional florist sister, for the front of my house. One of the things I enjoy about France, and all of Europe, is the abundance of gardens and flowers in every city, town, and small village. In Paris, it seems window boxes are everywhere, from large hotels to the tiniest apartment balconies. 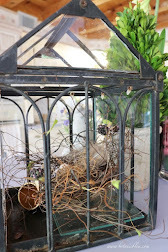 I come home with picture after picture and am always inspired to create my own window box at my house. This Fall is THE year I created a French inspired window box. 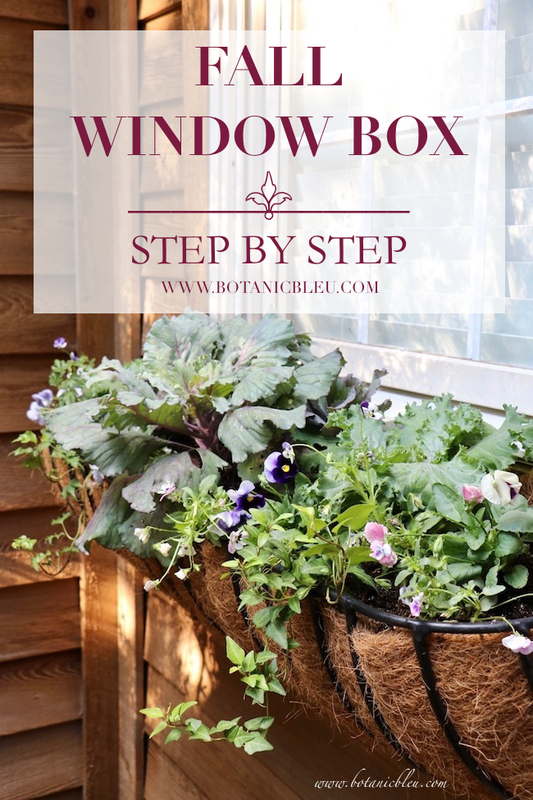 In case you are inspired, too, and want ideas how to create a window box for your house, take a look at how we created my front entry window box. I took photos at almost every step of the process to share with you. 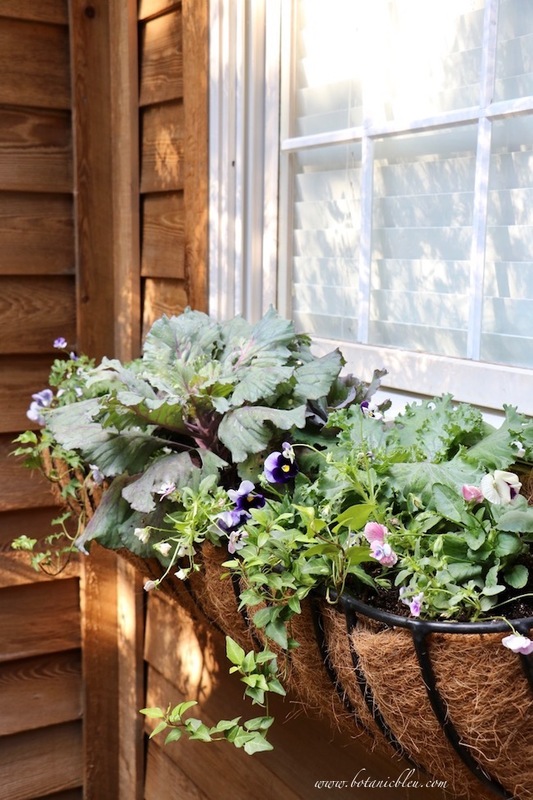 Let's start with the kind of structure including style, liner, and soil to use for a window box. 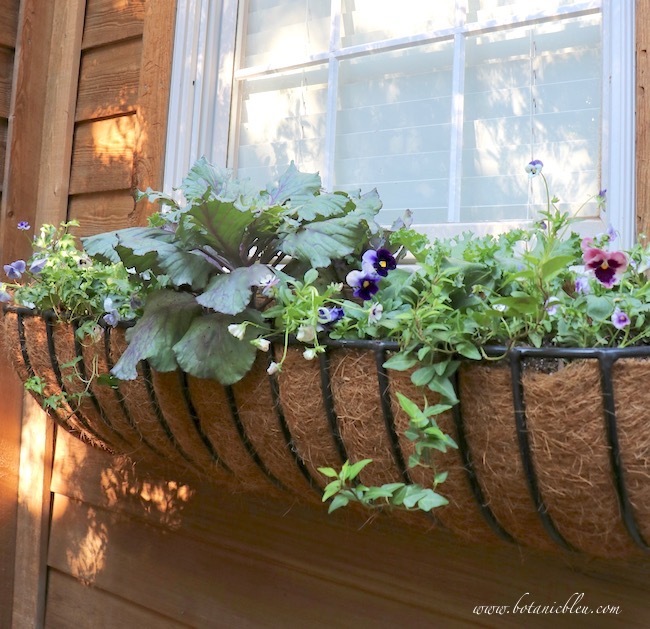 You can use a variety of materials and styles for window boxes, but for my house I used a metal basket known as a Hay Rack planter. 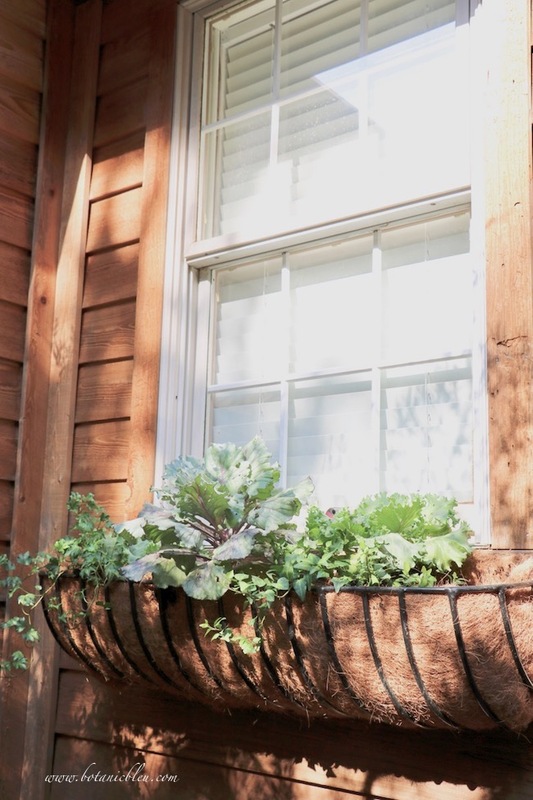 The sturdy metal frame is not as heavy as a wood box and allows more water drainage than a wood window box. 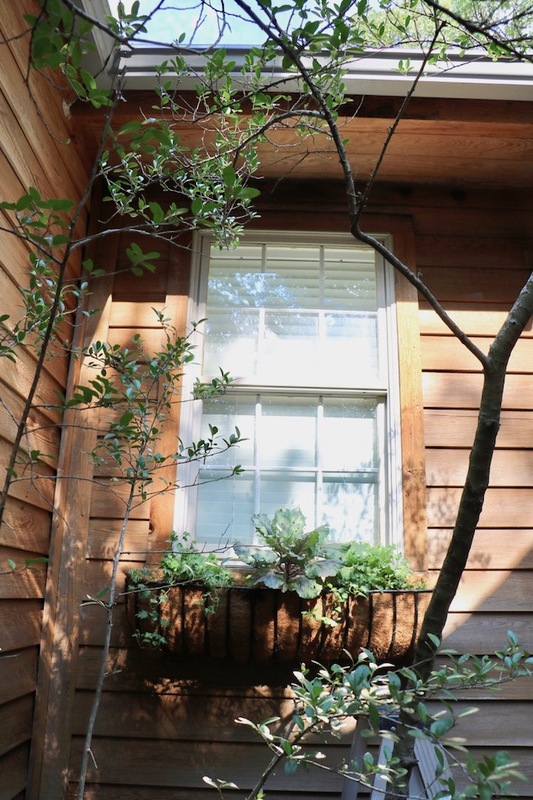 To attach the window basket to the house, we drilled long deck screws into the cedar trim around the window. We used deck screws because they are made for screwing into exterior wood. The screws are long enough to go through the window trim and deep into the house siding to support the weight of the box, soil, and plants. The screws need to stick out enough from the house siding for the basket to loop over them, but fit snugly to the basket to insure the basket is stable. You can see one of the screws in the photo below. Line the metal basket with a coir liner. 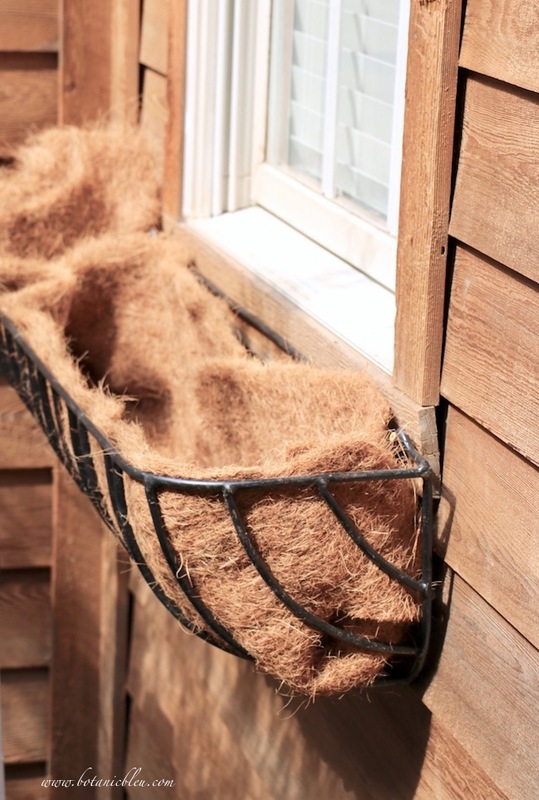 Coir liners are durable, sterile, and break down slowly. Since they are sterile they don't spread disease to plants. Do you see the screw? 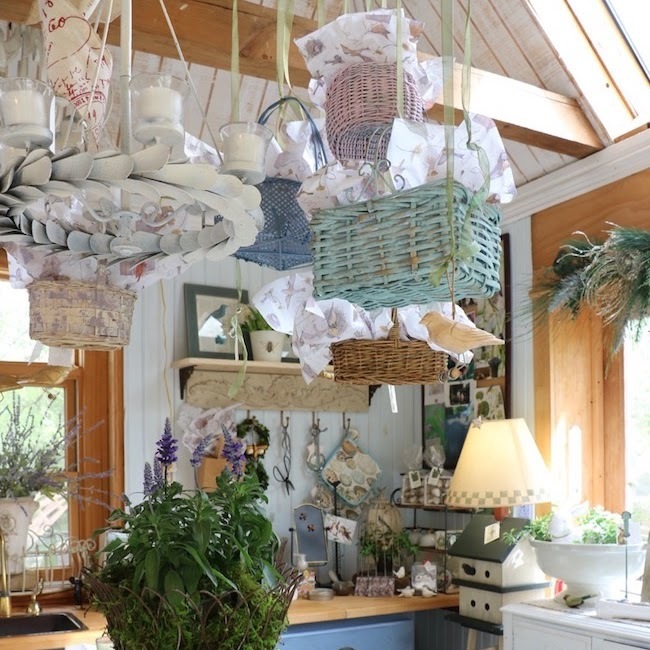 Place rich potting soil into the Hay Rack basket AFTER hanging the basket and placing the liner inside it. 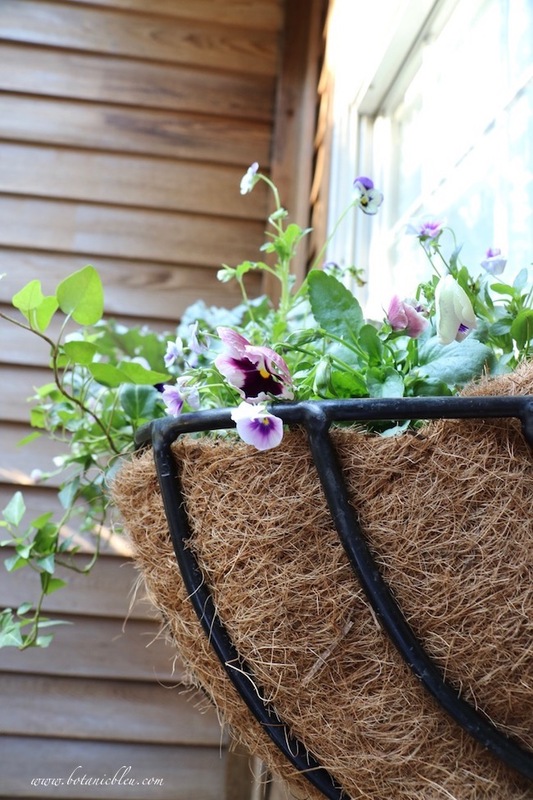 If you place the liner and soil in the basket BEFORE hanging it, the basket will be very heavy to lift and to position onto the screws. One of the features I need for my window box plants is for them to tolerate shade instead of loving full sun. The front entry of my house is almost a courtyard with high walls on three sides and is shaded from the direct sunlight some of the day. 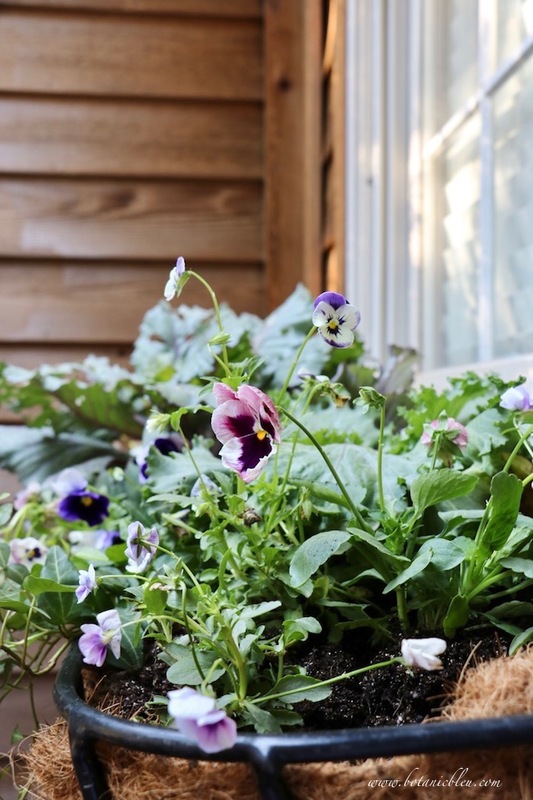 If you are planting a Fall/Winter window box, be sure to check the amount of sun and shade your window box's location has. The sun in Texas is STRONG, and plants that are labeled "full sun" often can tolerate, and welcome, some shade from the Texas sun. 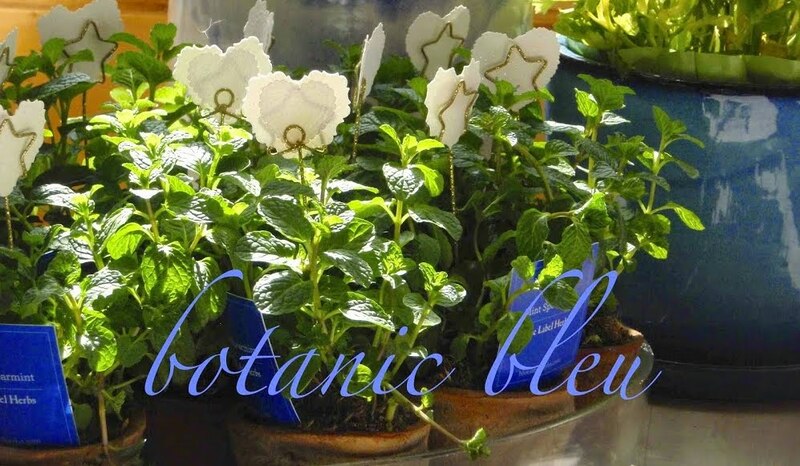 Keeping sunlight needs in mind, I chose the following three plants for my window box basket. Pansies and Violas, also known as Johnny Jump Ups in my family, come in so many beautiful colors and color combinations on the same bloom. 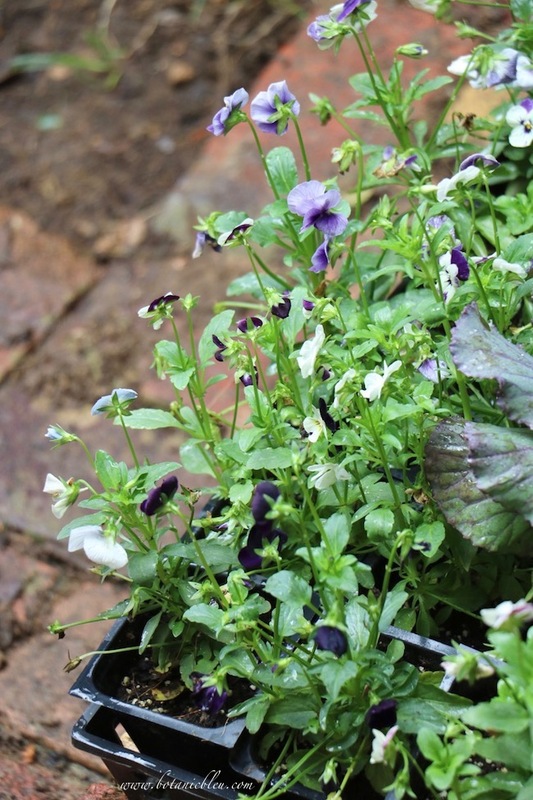 Their cheery faces brighten north Texas gardens all winter and are perfect for window boxes. At my house, they tolerate some shade even though they prefer full sun and will bloom until Spring arrives. Apply a high-nitrogen fertilizer when planted. They need good drainage and should not sit in water. Ornamental Kale is another colorful plant used extensively in my part of the country for winter color. A big advantage of kale is the color comes from its leaves instead of from blooms. 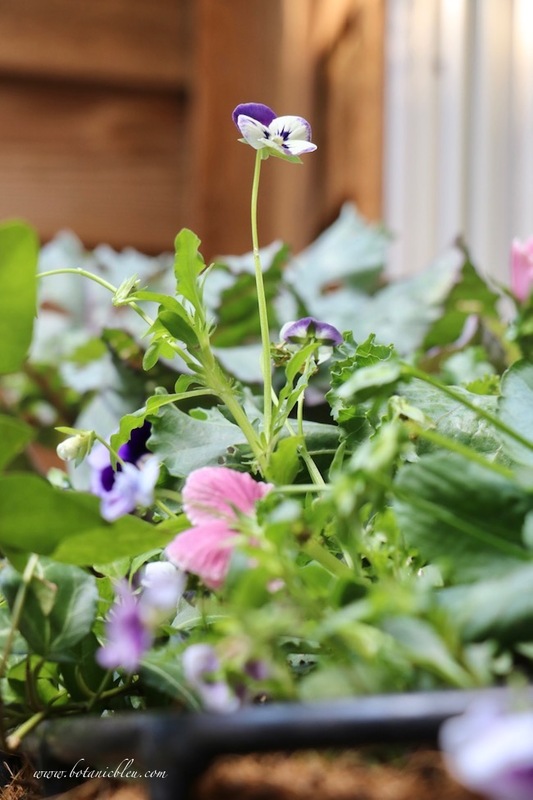 I chose both a green variety and a purple variety to use in the window box. Kale becomes more brilliantly colored when cold weather arrives and does well until February to March. Water if there are dry spells, and feed with high-nitrogen fertilizer in December. Ivy grows very well in pots at my house. It loves shade and overwinters outside since our winters are on the mild side. When snow or ice comes, it only lasts a few days before melting beneath sunny skies. 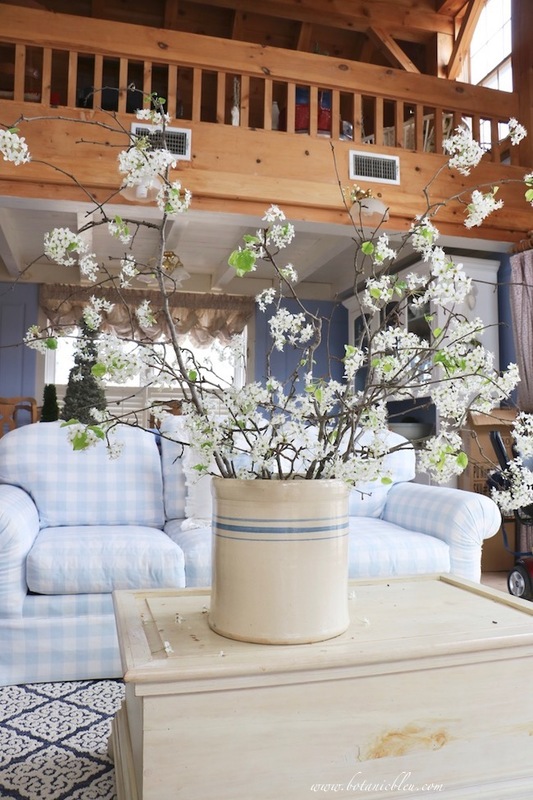 You may have heard the phrase "Thriller-Spiller-Filler" in reference to a sure-fire formula for creating a beautiful container of plants. That is exactly the formula we used in planting my Fall window box. We placed a "Thriller" (largest, most spectacular flower) in the center of the basket. 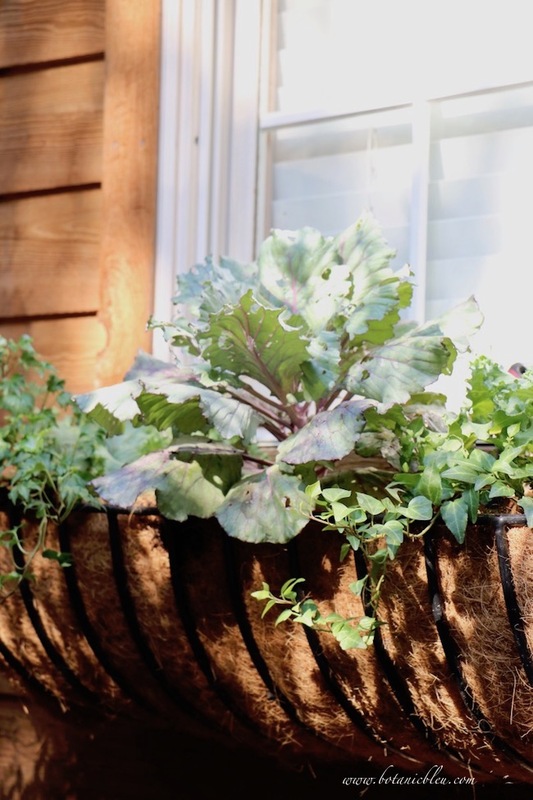 The large purple Ornamental Kale will get more spectacular the cooler the weather becomes and continue to provide color all during Fall and Winter. Flowering plants would not do as well in this location at my house. 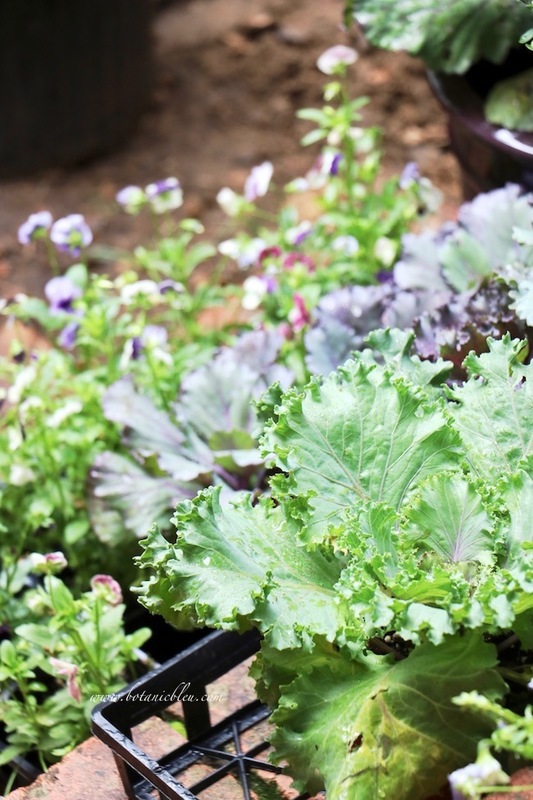 A green frilly Ornamental Kale was placed on either side of the large purple kale. 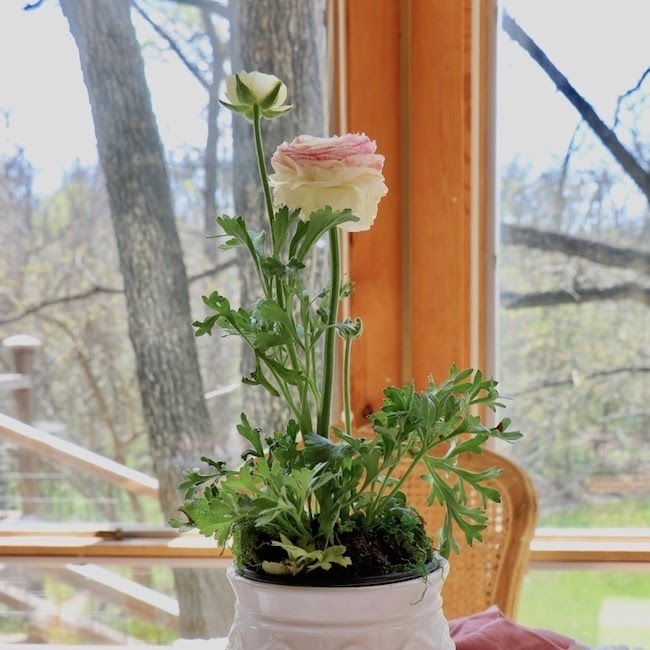 Add trailing plants to spill over the sides of the window basket to visually integrate the plants to the container. 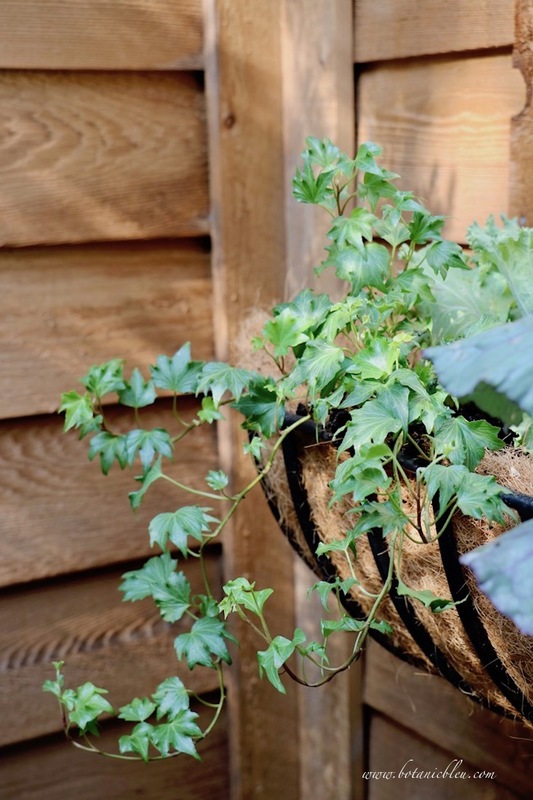 These ivy plants are planted between the large center kale and the two frilly kales on either side. Over time the ivy will spread and fill in more of the planter. 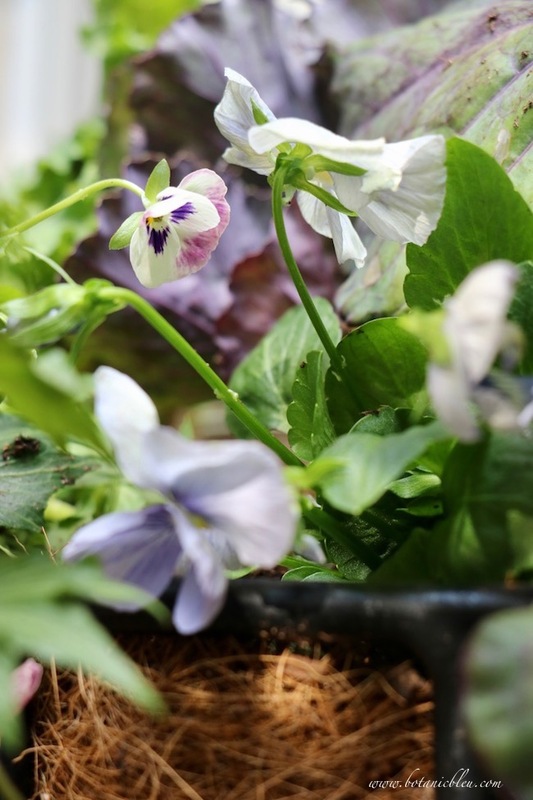 Pansies come in many colors, but we used shades of purple, white, blue, and mauve to accent the purple kale. One of the advantages of using pansies in my area is nurseries will offer these again in late winter. When the Ornamental Kales begin to put on flower shoots, it is the signal to remove them. We can replace the kale with fresh pansy plants and make the window box last through the Spring. An unexpected bonus is the coir liner color matches the cedar siding. Could not be a better match even if we planned it. My sister laughed and said to tell everyone it was part of the overall design from the beginning. The truth is sometimes there are serendipitous bonuses in life that make you smile. A little French moment . 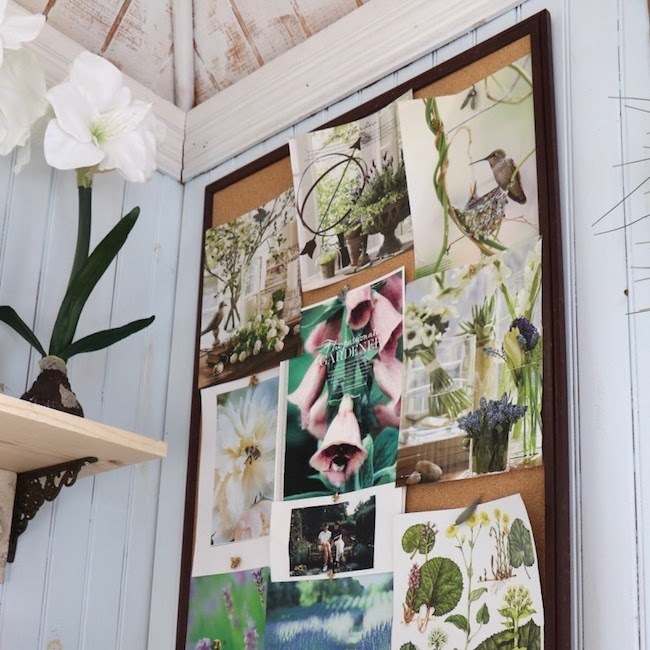 . .
PIN ⥣ to your gardening Pinterest boards for future reference. 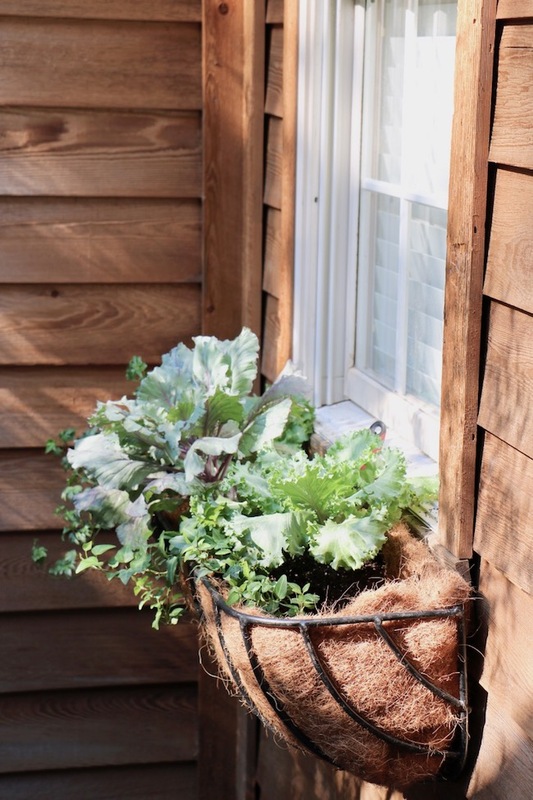 The Fall window box/basket is just one of several changes to my front porch and entry garden area. 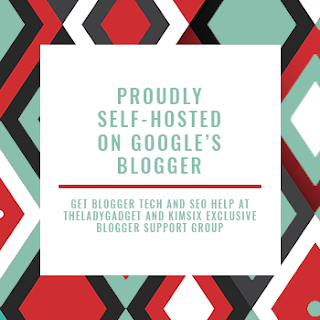 You can see all of the changes when I join over 20 other bloggers in a blog tour for Celebrating Fall Outdoors: Porches, Patios, and Gardens Tour on October 2, 2018. Mark your calendars so you do not miss it! Just a little over a week away. We would also love for you to share our upcoming Celebrating Fall Outdoors tour date with your readers on your blog, Instagram, Facebook, and Pinterest. Pumpkins have arrived in north Texas. And you know, it's all about the STEM. 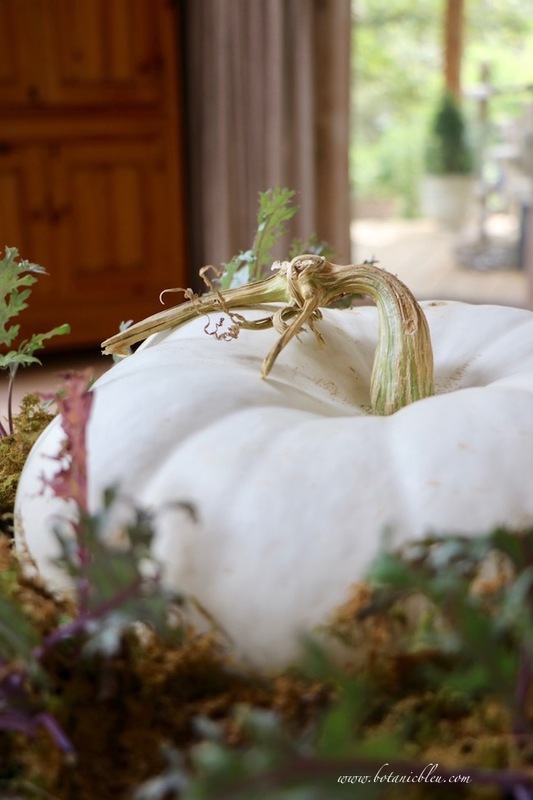 Y O U M A Y A L S O E N J O Y . . .
Rustic Blue Box For Fall All about following your decorating instincts instead of well-meaning real estate agents... AND creating a beautiful rustic blue box with white chrysanthemums and a curly-stemmed pumpkin. 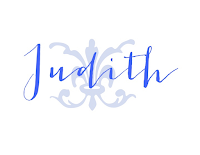 Your hayrack turned out so pretty, Judith. Pansies and cabbages are so perfect for our fall and winter. I can't wait to get my own planted. We've had several hayracks over the years...they are fun to redo with each season. 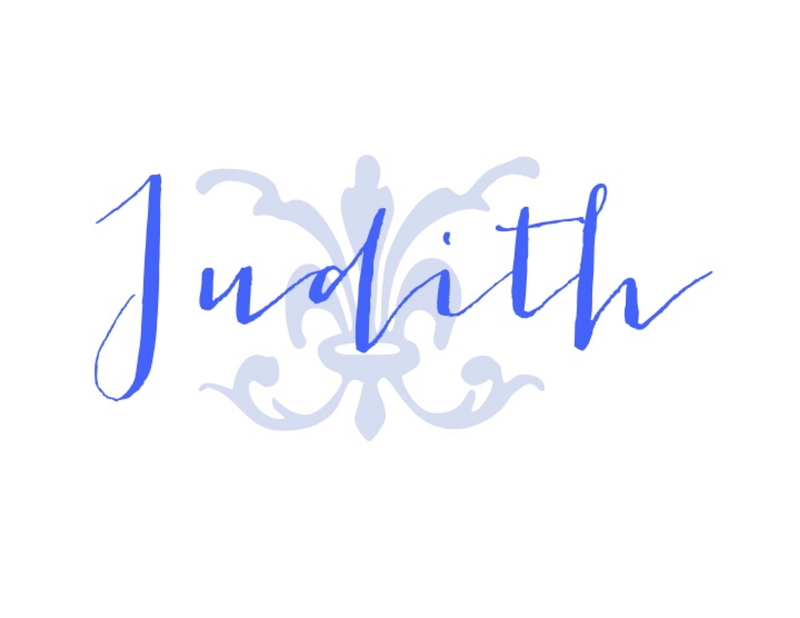 Lovely planting, Judith! Though fall is here, it will be awhile before I change our annual beds to pansies, which will overwinter for an early spring look. For now, I did buy a couple mums for the porch to enjoy. Happy Sunday.Happy Fall.